This event is free and open to the public. 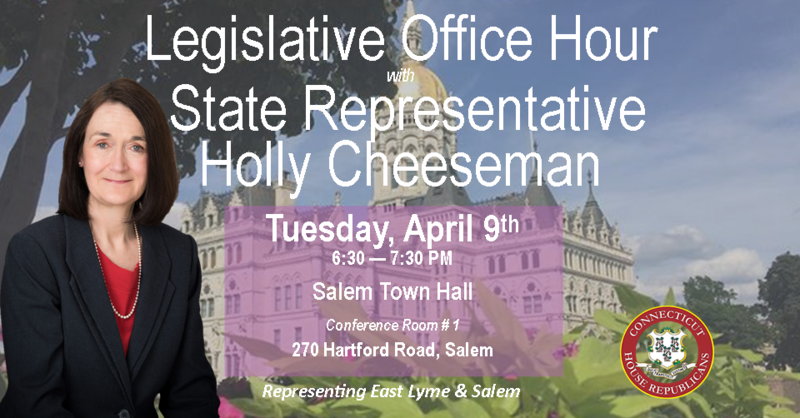 If you are unable to attend but would still like to connect with Rep. Cheeseman, please contact her at Holly.Cheeseman@housegop.ct.gov or (800) 842-1423. In the event that meeting must be postponed, a notice will be posted on Rep. Cheeseman’s website at www.repcheeseman.com.